FINDLAY, Ohio (October 8, 2018) — Chad Kemenah announced Monday that he would be seeking a new ride for the 2019 season. On a press release posted on his Facebook page Kemenah indicated parting ways with Rob and Rita Hunter’s race team. 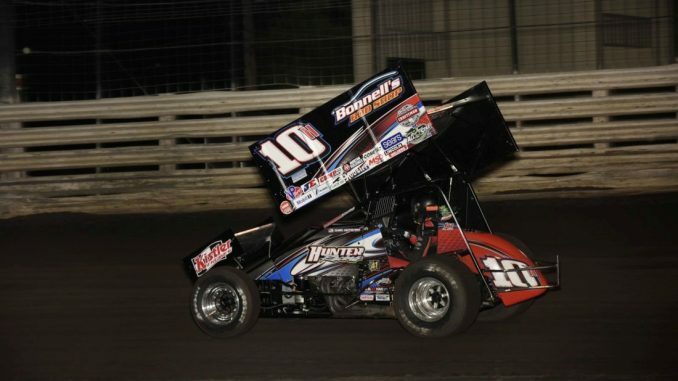 Over the past four seasons Kemenah and Hunter won two All Star Circuit of Champions titles, a World of Outlaws victory at Fremont Speedway, and two top 10 finishes in the Knoxville Nationals. Kemenah won the pole position for the 2018 edition of the Knoxville Nationals. Kemenah left contact information on his Facebook page, which would indicate he has not finalized plans for 2019 and is actively seeking an opportunity. As of this press release TJSlideways.com reached out to Rob and Rita Hunter to see what their plans were for 2019.